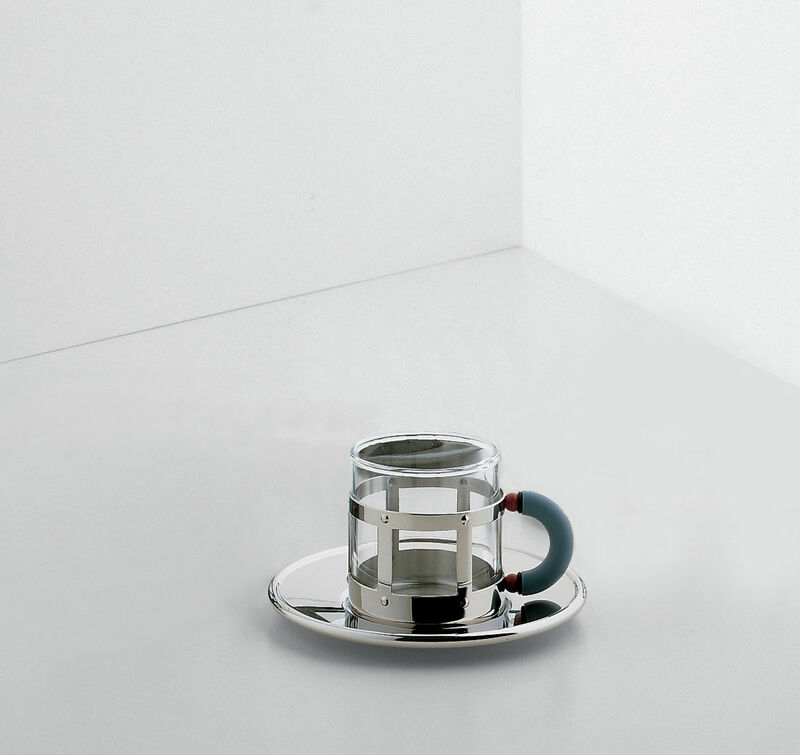 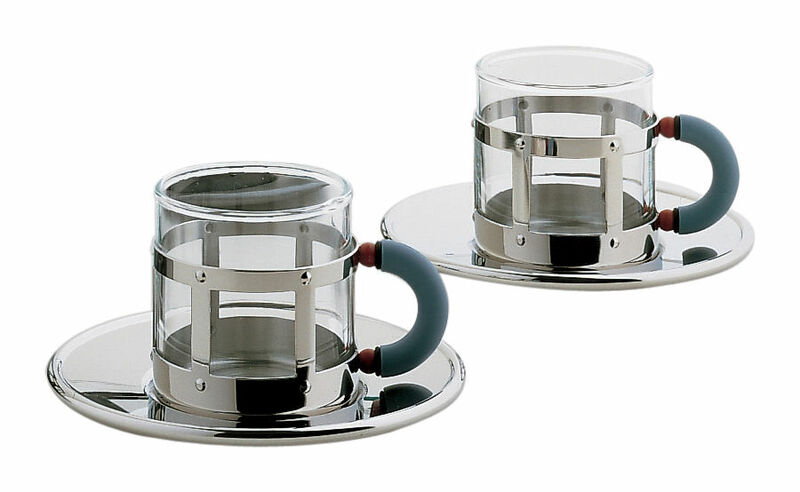 A unique look for these steel-rimmed cups with pretty handles. Michael Graves was inspired by the art deco and invites us to appreciate his creation from the breakfast. 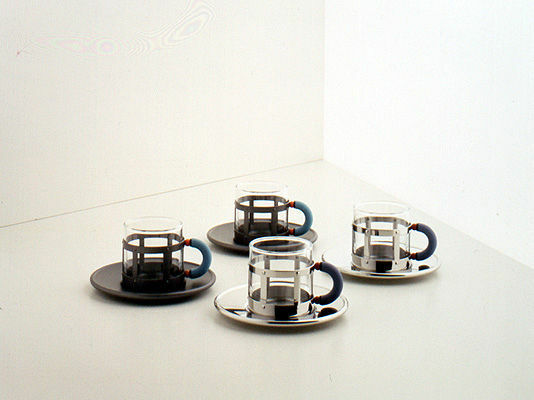 Two cups presentation box.